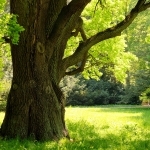 Odor profile: An inky, bitter-smelling forest floor evocative, prized essence coming from the lichen that grows on oak trees in Europe (harvested in the Balkans). Nowadays severely restricted under skin sensitization concerns, it is nevertheless an essential part of chypre fragrances and fougère fragrances. 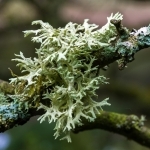 Oakmoss, also known as Evernia prunastri, is a species of lichen, a fungus found in mountainous temperate forests all around the Northern Hemisphere. As its name already suggests, oakmoss grows commonly on the branches and trunks of oak trees, even though it may also be found on other deciduous trees and conifers. This bushy lichen is very short, flat and has a strap-like thallus that somewhat resembles the shape of deer antlers. Oamkoss varies in color, being minty green or almost white when dry, or dark-olive green and even yellowish when wet. Oakmoss is one of the most commonly used raw materials, especially in chypre and Fougère types of perfumes. Often used as a fixative, it not only improves the longevity of the composition but also lends a delicate forest-like, rich and earthy aroma to the fragrant composition, leaving a natural, damp and creamy soft trail. This raw material is usually commercially grown in South-Central Europe and exported to Grasse in France, where the majority of the perfumery houses are situated. 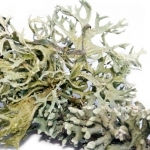 Oakmoss absolutes and extracts, derived from the lichen, have a distinctively woody, sharp and very sensual aroma that combines very well with floral and green notes, and makes a great addition to oriental type fragrances. A special type of oakmoss which grows on pine trees has a slightly different, turpentine-like smell, which makes it highly valued among perfumers. Oakmoss absolute can be obtained by solvent extraction or by using vacuum distillation. The one obtained by solvent extraction is dark green or even brown in color and has a strong, natural, earthy-mossy scent with a slight leather undertone. The process of vacuum distillation gives a pale yellow or green aromatic material with a very dry, earthy and bark-like flavor. For many years, oakmoss has been known as a potent dermal sensitizer that should be used with extreme caution in order to prevent adverse dermatological reactions. However, it has become very controversial in recent times, since the IFRA, a body that regulates the guidelines for safe usage of fragrant chemicals and essential oils in perfumes, has listed oakmoss as a restricted ingredient. IFRA regulations state that oak moss extracts obtained from Evernia prunastri should not be used in consumer products if their quantity exceeds 0.1%. Moreover, if the formula already contains tree moss extracts, the levels of oakmoss and tree moss extracts should be reduced in such a way that the total amount of both extracts doesn't exceed 0.1%. Because it is almost impossible to compose a classic chypre fragrance without a trail of natural moss, perfumers have been under a difficult challenge since 2001, trying to find a new extract that would be olfactively close to the original scent of oakmoss, and yet comply with the IFRA regulations. 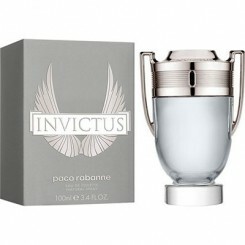 Following the new guidelines, many perfumery houses have reformulated their epic perfumes. Some of the many examples are Guerlain's Mitsouko and Parure, both using oakmoss as a base note. But, with a little help from modern science, Thierry Wasser, Guerlain's famous perfumer, has found his way to preserve the scent of original version and avoid changing the formulation dramatically. Guerlain now uses oakmoss that doesn't have the specific molecule which is not allowed by IFRA regulations. Thanks to the modern chemistry, this new raw material is a 100% pure and natural extract that complies with the amendments of IFRA. Some other perfumers have substituted oakmoss with grassy notes of patchouli and vetiver, while others use a synthetic “mossy woods” note that reproduces the deep forest-like smell. You can still feel the genuine “scent of the wet forest” in the creations of modern natural perfumers, who continure to use oakmoss absolute obtained by solvent extraction. Oakmoss is found in many iconic perfumes such as Paloma Picasso, in the floral-woody-green composition of Chanel #19, in Miss Dior by Dior, a chypre-floral fragrance for women, and Apercu by Houbigant. I should also mention Houbigant’s vintage Fougere Royale, with a top-note of lavender and base-notes of oakmoss and coumarin. The whole class of Fougère perfumes, consisting primarily of perfumes for men, is named in reference to this classic creation. 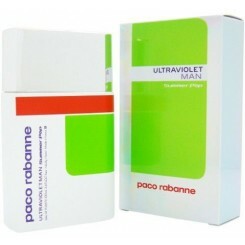 ادو تویلت مردانه پاکو رابان پور هومPaco Rabanne POUR HOMME Eau De Toilette For menعطر پورهوم از قدیمی ترین محصولات پاکو رابان می باشد که رایحه ای آرامش بخش دارد برای سفارش پیامکی کافی است کد c785 را به شماره 10005420 ارسال نمایید. 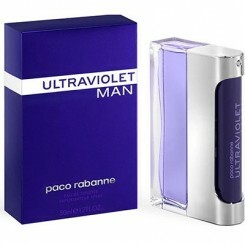 ادو تویلت مردانه پاکو رابان الترا ویولت سامر پاپ میلPaco Rabanne Ultraviolet Man Summer Pop for men Eau De Toilette For Men گروه بویایی: آروماتیک چوب و مرکبات برای سفارش پیامکی کافی است کد c781 را به شماره 10005420 ارسال نمایید.